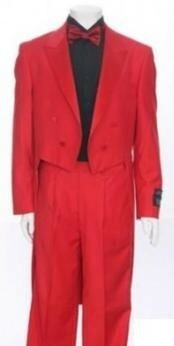 Mensusa https://www.mensusa.com/articles/rock-at-promenade-dressed-in-red-tailcoat-jacket.html Rock At The Promenade Occasions Dressed In The Red Tailcoat Jacket The red tailcoat jacket is a wonderful choice of apparels for the promenade occasions and special events that are hosted in the formal spirit. These jackets accentuate your appearance in the most impressive style. The red tailcoat jacket can get you the boldest and the most fashionable appearance to the promenade occasions and special events. The tailcoats represent the oldest form of design in men's apparel. The design, enduring for several centuries, has turned to be a classic in men's fashion. Even in today's time, the tailcoat jacket is a delightful choice of apparel. Be assured that appearing to the promenade occasions or to the special events in these apparels, you will appear impressive and elegant. 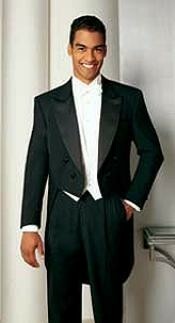 The tailcoat evolved a few centuries back and still, it retained its relevance as the choice of apparel, even in contemporary times. Traditionally, red is the shade than had been traditionally picked for the tailcoats and hence, the red tailcoat jacket feature a traditional flair. Asides, the red shade impart a fair of power and authority and hence, these apparels come highly formidable in its appearance. Appearing on the promenade occasions and special events in these jackets, it stands assured that people will be getting attracted towards you and hence, it can be said that these jackets are the trusted solutions of dressing that will make it easier for you to get to the notice and focus of the crowd. It will be wise to pair the red tailcoat jackets with the solid shirts of lighter shades. If you are attending any evening occasion, you can even pick the golden dress shirts that will be equally relevant apparel that can be paired with the red shaded tailcoat jacket. For the trousers, the dress pants in the shades of ivory, off-white, cream or white will be the ideal options to pair with these jackets. Obviously, the black trouser will also be a rocking combination. For its typical formal look, the red tailcoat jacket will be a delightful choice of apparel at the promenade occasions, the red-carpet events as well as the social events that are staged on the formal spirit. The formal and classic appearance of the tailcoat jacket, clubbing with the flair of power as in red, makes these jackets the ideal choice of apparel for the special events. You can take it for sure that appearing to these ambiances in this apparel; your presence will get noticed and appreciated. www.mensusa.com offers a ravishing collection on apparels and fashion accessories for men. The store stocks the fashion products from the top manufacturers and hence, dealing with this store, you will get only the premium quality products. Better to say, the store offer these top-quality products for the most competitive price.